Expert advice on recreating runway-ready nail looks. 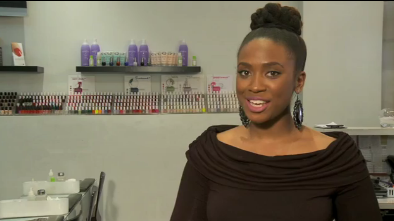 Welcome to ESSENCE.com’s new video series, Beauty How-To! In this first episode, we’re showing you step-by-step tips on how to create an ombré manicure with glitter, as seen on the runway during New York Fashion Week Fall 2012. Candice Manacchio, a nail-pro with CND, shares her expert advice that guarantees top tips tips in a flash. The glitter ombré nail trend is hotter than hot right now, so grab your at-home nail kit and get ready to get glam!